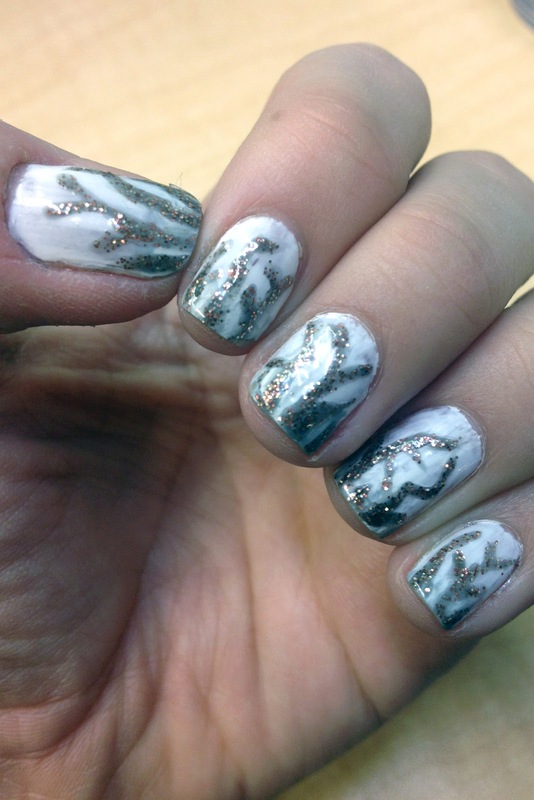 When perusing Pinterest recently, I came across a gorgeous photos of glittery winter branches and was inspired to polish my nails in it's likeness. The final result didn't come out exactly how I had envisioned in my head, but my fella recognized it for what it was supposed to be so I rocked it for a few days. After someone guessed it was seaweed, I knew it was time to change. But I wanted another shot at the whole "winter forest idea" so I tried again, this time with evergreen trees. I ended up thrilled with the results this time. 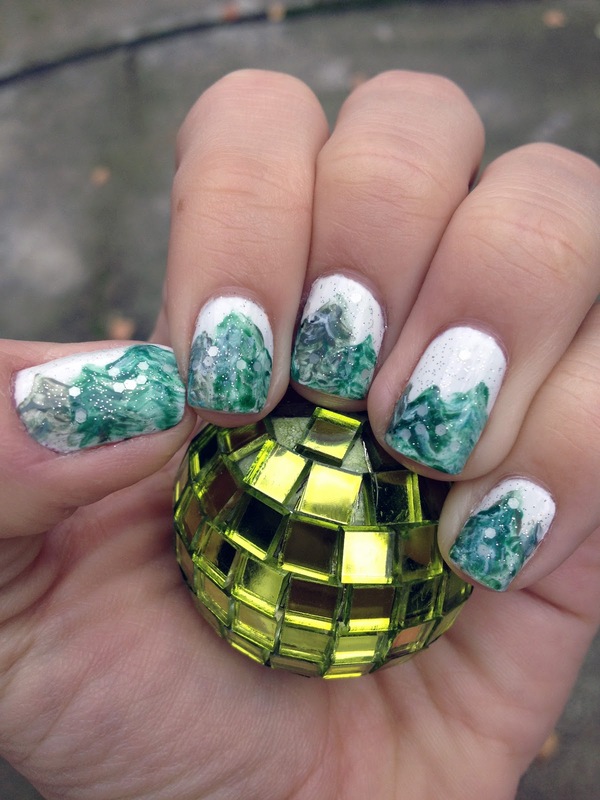 Which winter forest manicure would you rock? I really like the branches. They look great!! Ooh love the first one! Merry christmas to you and your hubby!